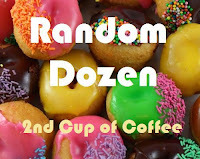 It's once again time for the weekly Random Dozen hosted by Linda over at 2nd cup of coffee. I found this week's questions slightly stressful...not because I didn't have answers to give but because there is a little play on the concept of one. I'm not good at picking one thing or giving one word answers to questions. If you read here I think you know I require a lot of words, even if you are asking me a yes/no question. Hmmm...perhaps this should have been my answer to #7? You're invited to answer this week's questions on your own blog...just be sure to link your post over at Linda's for all the world to see. 1. What is one really fast, know-by-heart "go-to" meal to fix in a pinch? Teriyaki chicken with baked rice. Easy and really delicious. Not a lot of ingredients and I typically have them all in my pantry. And most importantly everyone loves it. my phone...hubs will say I can't always get to it in the Black Hole that is my purse but I do have it with me and that's the important thing, right? 3. Where is one place you never tire of visiting? Also Italy, Marco Island Florida, and a certain small town in South Carolina where my girlies reside. 4. Share one factoid of your family's history. As in my immediate family or my ancestors? Hey, that could have been my answer to #7....is that considered a quirk? Here is a nice straightforward fact: my parents were living in Hawaii when it became a state. 5. 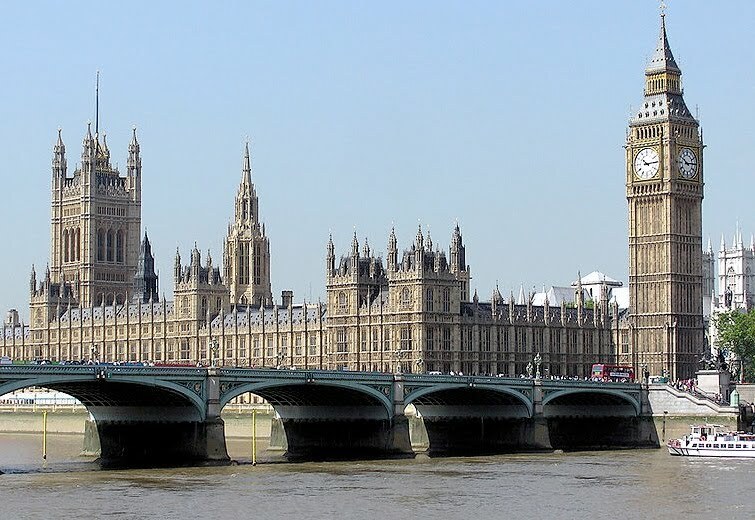 Complete this sentence: "Once upon a time I ...."
had lunch with David Cameron, the new Prime Minister of England. I was nervous and giddy and the only American there so I tried not to say anything ridiculous. I was seated beside Felicity Dahl who was Roald Dahl's second wife...it was a very exciting day. At the time I was President of the American Women’s Club and we had done some fundraising for the National Society for Epilepsy...they organized the luncheon and I was invited as their guest. David Cameron served as a board member for the NSE...he and his wife had a sweet son with epilepsy who sadly passed away just over a year ago. Mr. Cameron was a guest and also spoke briefly at this particular luncheon, which was held to kick off a campaign for the NSE. 6. If you could win a one year's supply of anything, what would it be? This feels like it should be easy but its not…how about a housekeeper? I have all the time in the world to clean house but I do love it when someone else does it for me. 7. "One quirky thing you may not know about me is ...."
I wish my hubs was home to provide the answer to this question. I don't think I have a lot of quirks but I'm pretty sure he would disagree. I talk to myself. Don't most women do that? 8. You have one dollar in your pocket. What will you buy? Remember when you could really buy something with a dollar? Does a dollar even buy a pack of gum now? USA today costs $1 and I like their crossword puzzle so maybe a newspaper. That answer sounds super lame when I read it back but even a bag of peanut m & m's is more than $1 now. 9. "One thing that always makes me laugh is ...."
10. What is one thing you could do today to help yourself reach a personal goal? Hit the gym. Walk the dog. Steer clear of the sweets. And the carbs. Bet you can’t guess what my personal goal is? And I already explained that I am not capable of naming just one thing. Obviously. 11. What is one thing you could do today to bless someone else? I have a few notes to send so will hopefully get those done today. 12. What is one thing you're looking forward to soon? The Eagles concert on June 10th...they are one of my favorite bands and they'll be performing in the New Meadowlands Stadium along with The Dixie Chicks and Keith Urban. Can't wait! Those etrade babies are a hoot! I love sending little encouraging notes too. I hope you have fun at the concert! Great answers....my go to meal is Spaghetti I'm so sick of Spaghetti but it's quick and easy. I talk to myself too, yesterday I was telling a bug to get out of the house as I was shooing it out the door. My daughter said who are you talking to? I answered a bug...the look I got..priceless! We had the same answer to #2! What did we do before cell phones? I wish I had thought of a maid when I answered that question...that's a great answer! That e-trade baby makes me laugh, too. So funny! The golf one (Shankapotomaus! ): Hilarious! That sounds like an awesome concert! I had difficulty keeping to JUST one as well. Narrowing it down to one answer is pretty tough, isn't it? Great story for #5! I thought about asking my husband for an answer to #7, but I wasn't sure I wanted to hear what he would have to say. The Eagles concert sounds wonderful all by itself, but throw in the Dixie Chicks and you are really in for a treat - enjoy!! I never leave the house without my eyeliner. Girl, it's a scary world out there...no need to make it scarier. I never leave home without my cell phone either. Except on the days I forget and have to go back home to retrieve it! Yummy, I want your recipe for the teriyaki chicken and rice. Fun answers. I had a hard time with the "year supply" question - wish I'd thought of housekeeper! "the black hole that is my purse" hilarious! :) I have one too! That´s why I like to carry my cell phone in my pants pockets. I think this has to be one of my favorite Random Posts from you. Just in learning so much about you and the things you would do in your if only questions. Love it! Very ineresting to read, yes. I've been to London a couple of times. Great city. It is exciting that you had the opportunity to meet David Cameron.... I'm sure you have a lot of other stories tucked away too. You had some really awesome answers. I just love reading these. They were tough this week. Wow, that will be some concert! I love all of those artists, especially the Eagles. i buy manuka honey through amazon and @ a local vitamin store...it's cheaper to buy it through amazon in multi packs. it has REALLY helped my tummy...it is a natural antibiotic...it kills staph and 3 other types of bad bacteria. hope it helps you, too! "...but only God can make a tree." Can the Random Dozen be answered while on vaca?